For more than two decades, Bookmaker has carved out a name for itself in the crowded world of online sportsbooks. However, now that we have progressed to the state where mobile devices offer us the chance to bet on the go, punters in the United States have come to the realization that there are few books that offer a mobile optimized experience. Thankfully Bookmaker.EU steps in and fills this void. Using an intuitive system that is friendly on both the eyes and the fingers, Bookmaker really is one of the premier Android compatible sportsbooks we have seen. This review will take a look at the firm itself, the mobile site, banking options, and overall experience. 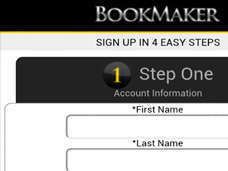 With that being said, let’s get on with our review of Bookmaker.EU. Bookmaker has a great reputation among those who regularly bet on sports. The firm is based in Costa Rica and has some of the best oddsmakers in the business. Bookmaker is no small player, as the firm regularly takes bets of several thousands of dollars, but the firm also takes bets as low as $5. Because Bookmaker sets the mark high with its storied history, we were anticipating a lot from the company’s mobile product. 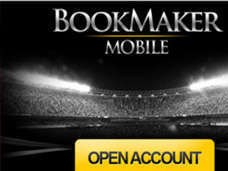 Even with high expectations, we were blown away at the presentation of Bookmaker’s mobile site. We tested Boomaker on a Droid DNA as well as an Android 4.1 10 inch tablet. Both experiences were great, as the site morphed to both screens perfectly. Layouts were friendly on both the eyes and fingers, as we never found ourselves squinting at the screen of fumbling with menu options. This has to be one of the best mobile layouts we have seen for all online sportsbooks, not just the ones that are friendly to American punters. Without a doubt, Bookmaker offers the most robust mobile offerings that we have seen from an American friendly sportsbook. Among the options we found on the Bookmaker mobile site were: Sportsbetting, Horse Betting, Live Sportsbetting, Mini Blackjack, and Mini Video Poker. The addition of android casino games blackjack and video poker is a revelation for American punters, but the variety of sportsbetting options is what gives Bookmaker the A+ stamp of approval. 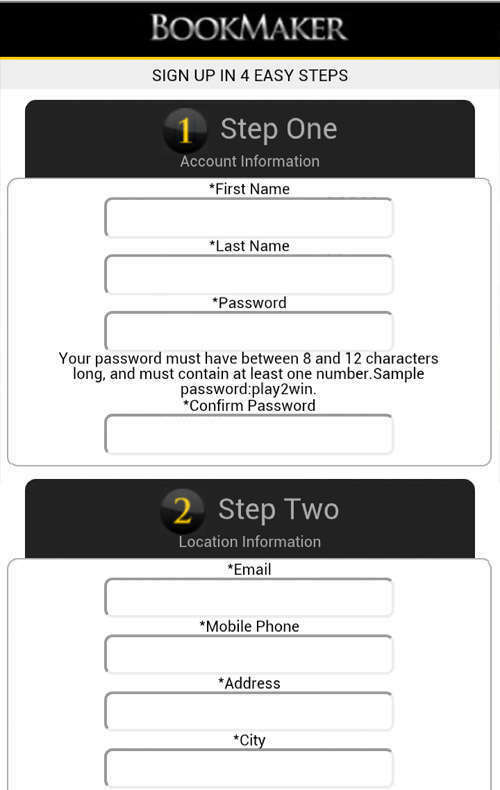 Bookmaker’s mobile site allows punters to make the following types of bets: Straight, Parlay, Teaser, If Win Bets, If Win or Tie Bets, If Win Reverse Bets, and If Win or Tie Reverse Bets. This comes in addition to the new Live Betting option, which allows for bettors to place bets on games that are actually in progress. These features are what really stand out to us, and coupled with the great mobile layout gave us a betting experience that we will be sure to go back and follow up on. 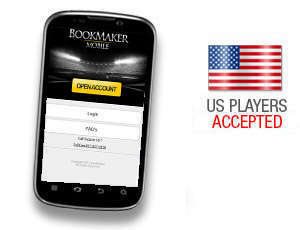 Banking options at Bookmaker are a bit of a limiting factor, but that is to be expected with any book that accepts American option. For us, the only option to put funds into the site on our Android was through a Visa card, and the only ways for us to take money out was through a paper check or a debit card sent by Bookmaker to us. If this were the only options for a European book, we would be outraged, but unfortunately this is how things are now with the financial restrictions that the United States government has put on banking institutions in regards to internet betting. 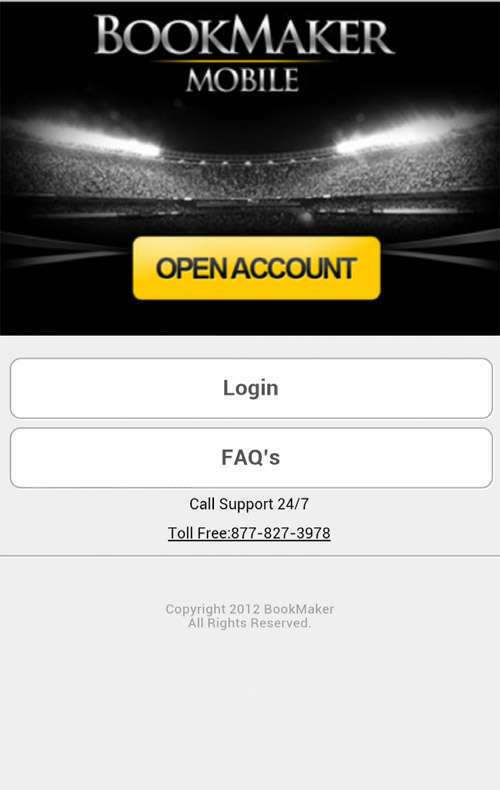 Our overall experience with Bookmaker was very positive, and we have to say that American bettors will have a hard time finding a better Android sportsbetting experience… that is until the American government gets with it and actually passes some sort of legislation that reforms online sportsbetting. Until that time, stick with Bookmaker. You can’t do much better.